The Golden State Warriors will be getting some timely down time this week. The Dubs will benefit from a four-day breather this week before taking on the Memphis Grizzlies on Friday. With the Golden State in the midst of a playoff push, this break could not have come at a better time. Between injuries and individual struggles, the Warriors will get an opportunity to regroup and potentially get ready for the stretch run. Let’s have a quick look at the issues Golden State might potentially address during the time off. 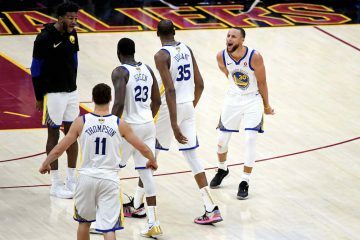 With no games scheduled until Friday, it gives the Warriors an opportunity to bring back injured players into the fold. Andre Iguodala missed the last three contests because of tendinitis in his right knee, and the team is going to need him to close out the regular season. Iguodala is the Warriors’ best perimeter defender as well as one of the best playmakers on the team. 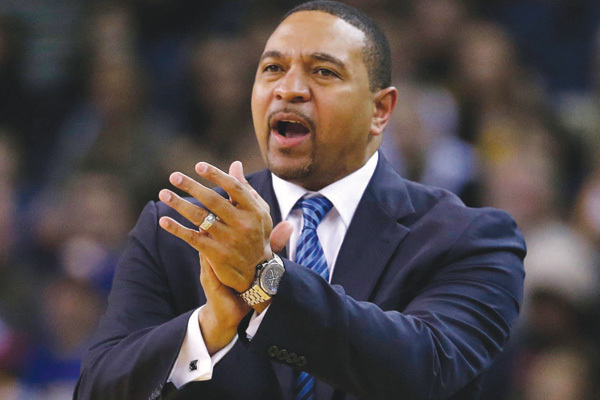 His absence hurts on both ends of the floor, and reshapes Golden State’s bench identity. 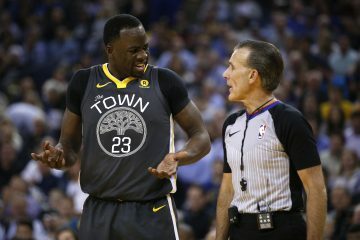 With the former Olympian sidelined, head coach Mark Jackson promoted Harrison Barnes into the starting lineup in a move that may have unwillingly destroyed his confidence (more on this later). The loss of a starter can be difficult to manage, because it forces the team to recalibrate their entire lineups. It typically weakens the bench and may lead to a few unconventional five-man units. Iguodala’s return will allow Jackson to get his players back into their normal roles, and give the Warriors their best squad with the playoffs just around the corner. Iguodala was hardly the lone Warrior in need of rest though. Andrew Bogut missed a contest against the Orlando Magic due to a tweaked left ankle. He did appear in the following two contests, but the team was concerned enough about it to list him on the injury report. Bogut and Iguodala are the two-best defenders on a Warriors team that ranks among the stingiest in the league. A large part of their identity stems from the tandem, and their health will go a long way towards determining the team’s fate this season. Mark Jackson will have to pull out all the stops to get Harrison Barnes into anything resembling a comfort level. The former UNC Tar Heel has disappointed fans this season after a stellar 2013 playoff performance, but his last week of basketball might have been the equivalent of Commissioner Gordon firing up the Bat Signal to request help. Barnes had one of his toughest three-game stretches of the year: In 27.7 minutes per game, he averaged four points and four rebounds on 2-for-19 (10.5 percent) field-goal shooting. Surprisingly, it technically wasn’t his worst three-game sample. In mid-December and mid-January, Barnes was slightly worse. Context is important though. The December stretch came against the San Antonio Spurs, Los Angeles Lakers and Denver Nuggets. In January, Barnes was snuffed out by the Oklahoma City Thunder, New Orleans Pelicans and Indiana Pacers. In the last week, the North Carolina product was matched up against the Orlando Magic, Milwaukee Bucks and San Antonio Spurs. It’s one thing to get shut down by the likes of Kawhi Leonard and Paul George, but the Bucks and Magic? That’s a bit baffling. There’s no way around it, the coaching staff must figure out during these next few days how to instill confidence into their second-year forward, and they must find better ways (backdoor plays and post-ups against smaller players) to take advantage of his athleticism and 3-point shooting. Barnes is Golden State’s wild card. 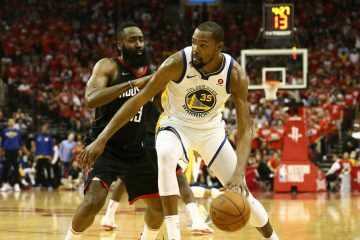 The bench struggles to score efficiently, and the Warriors could certainly use a good perimeter scorer to bail them out late in the shot clock, or simply to force mismatches and spread the floor. If he plays well as the sixth man, the Dubs might shock a few people in the playoffs. In the event he does not, the team will follow his lead and take a step back. It’s time for Jackson to do away with the all-substitution team. The coaching staff has far too frequently gone to lineups that feature nothing but second-unit players, and it’s a bit maddening. It makes one wonder whether Brian Scalabrine’s forced reassignment came as a result of him objecting to such tactical decisions. To be fair, the bench units occasionally bring a spark of energy, which allows the Warriors to go on runs. On the flip side, there are times when the reserves simply cannot score and that creates big holes for the team to dig itself out of. The Warriors must stagger minutes and find ways to ensure they always have at least two starters on the court.. When Golden State needs someone to create a high-percentage look, they typically fail because of the personnel. Their second-most utilized five-man unit this month is Steve Blake, Jordan Crawford, Barnes, Draymond Green and Jermaine O’Neal per NBA.com. It might be a tad excessive to have a lineup composed entirely of bench players getting the bulk of the minutes, because you know, the second unit is normally inferior in terms of talent and production to the starters. The aforementioned five-man group scores at a lower rate than the Philadelphia 76ers. Let that sink in for moment. The backups tend to rely on isolations (Jordan Crawford alert!) far too frequently, which leads to low-percentage shots. It’s worth mentioning, this lineup defends at a better rate than the Indiana Pacers. O’Neal and Green are tough customers on the interior, and they give the Warriors some interesting defensive versatility. 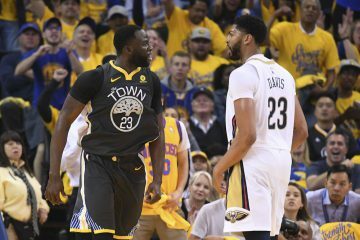 Indeed, against the Spurs last week, Jackson inserted Marreese Speights into the game with O’Neal and Green on the hardwood, which allowed the Dubs to get back into the game. The trio is great defensively, but it’s only played 105 minutes this season because it simply has too much trouble scoring. Speights and Green have 3-point range, but they aren’t great shooters. Thus, they do not space the floor well. Jackson must use the time off to alter some of his substitution patterns to ensure his stars are rested, and not all sitting simultaneously. All stats accurate as of March 25, 2014.